Meta elements provide information about a given Web page, most often to help search engines categorize them correctly. Meta Tags always goes inside the <HEAD> area and will not be displayed on the page. If you want to check or analyze the Meta Tags, you can right click the mouse button in the web page and then select "View page source", this feature is supported by most browsers. How ever, this method is not convenient. Screenshot: Analyze Meta Tags in Google Chrome. Click for large preview. Go to PageRank Stauts on Chrome Web Store, then click ADD TO CHROME button to install it. 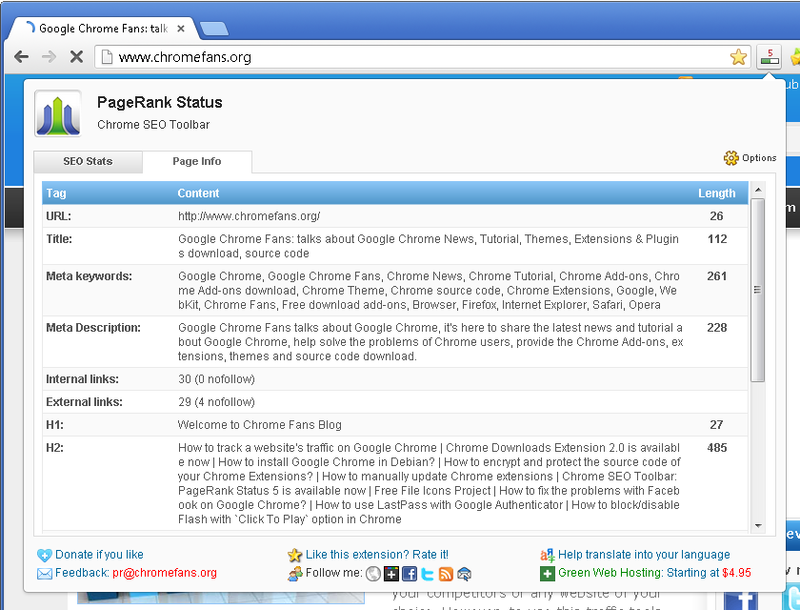 Browser a web page on Chrome browser, and then click the PageRank Status button in the Chrome toolbar. 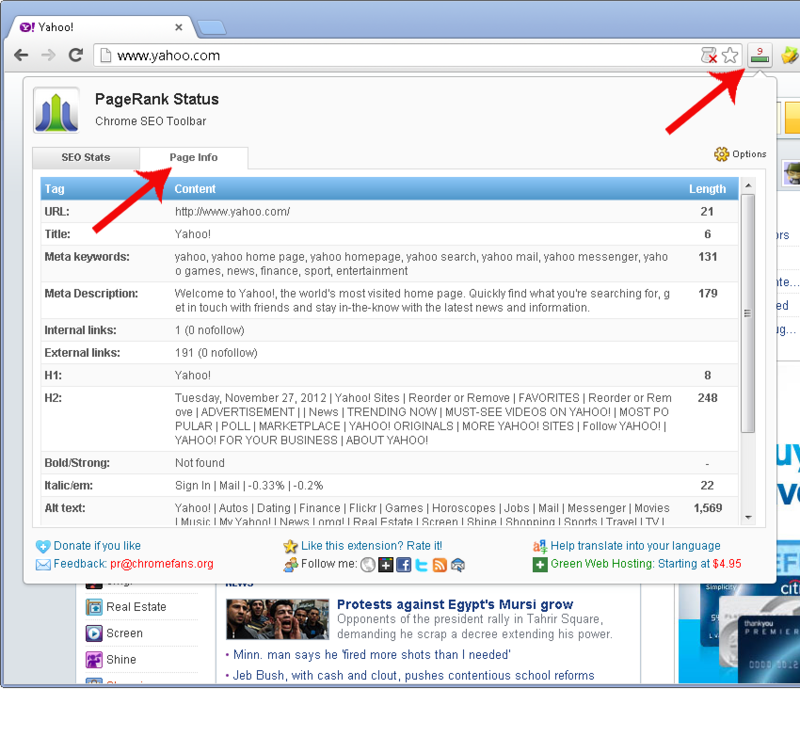 Click PageInfo tab page, it will display the meta tags content and length of current web page. Tips: You can set the PageInfo page as the first page in Options. 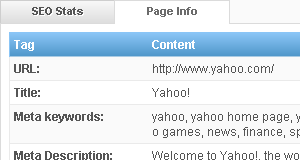 Screenshot: Check the meta tags of yahoo home page in Chrome. Click for large preview. This is a great feature for web developers and novice website owners alike. It saves me a ton of time in research. Thanks. Chrome is the best in my heart,thanks my friend from INDONESIA with smile. I like this SEO extension. It has been improving my SEO experience. Hi! I use this SEO extension. Its a tool that I recommend. Thanks for the tutorial! Great. It has increased my blogging experience. Thank's. This remarkable google chrome is great!!! wow this is very useful for the web developers. Thanks for sharing.